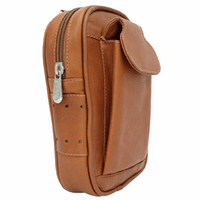 FEATURES/SPECS Stow your larger essentials in this handy leather pouch, toss it in the golf cart, and you're ready for anything - from a casual nine holes to a day of tournament play. 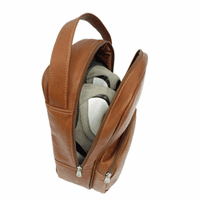 It neatly holds a clean golf shirt, a visor, or your sunglasses. 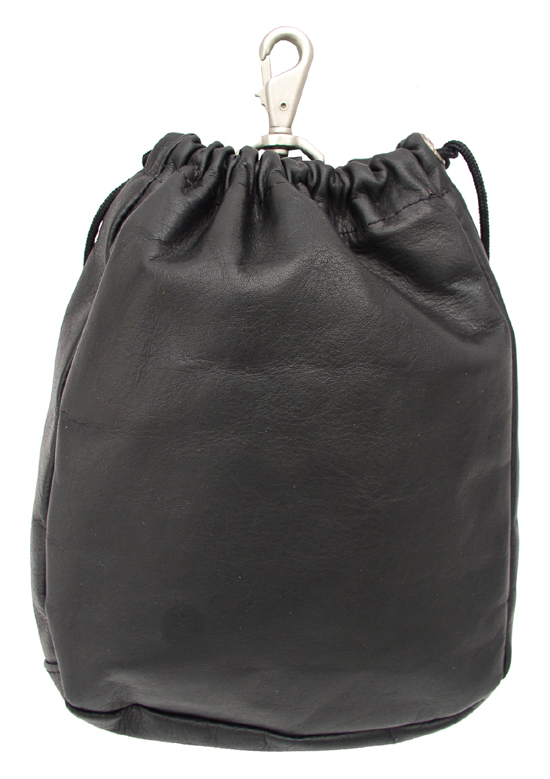 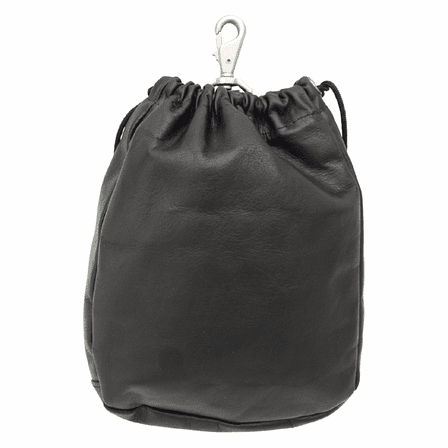 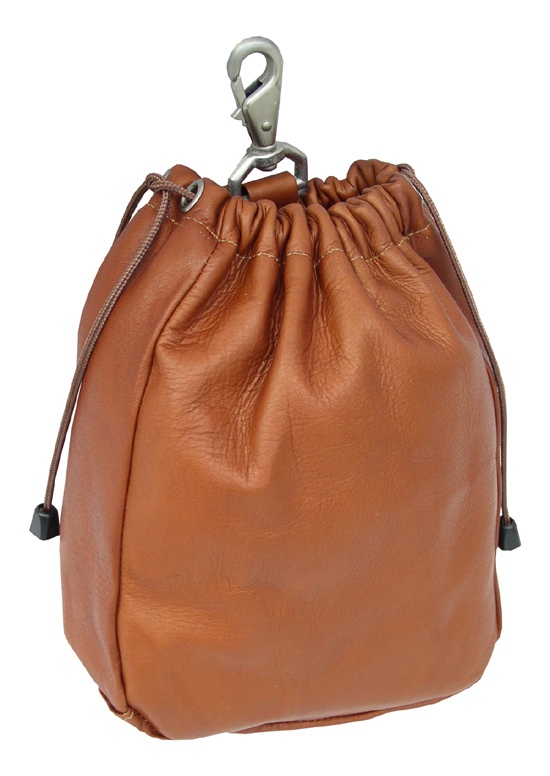 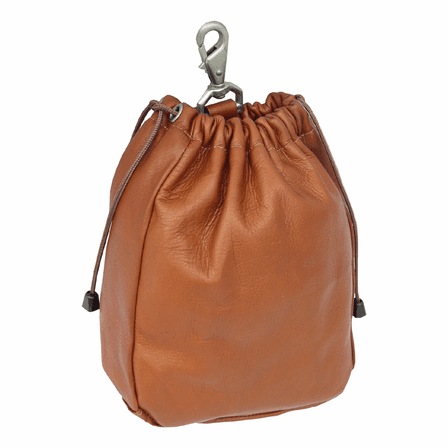 This supple, high-quality leather golf pouch opens and closes with a simple, no-fuss drawstring, and features an extra open pocket on the back for even more storage space. 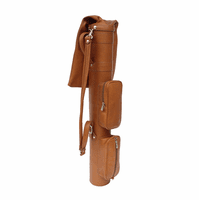 You'll wonder how you ever golfed without it. 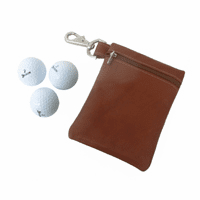 Free embossing of up to three characters on the outside makes it a great gift for any golfer. Dimensions: 6 1/2" x 9" x 2 1/2"